Well there it is, it is high time I show you a little of my new home. So new that it’s because it’s been a month all round as I live So now, after Shanghainese apartment home after home Shanghainese dorm room, this is the latest in the series: the Cantonese in my apartment! As I announced there is not very long, I live in the Tianhe District, the new business district of Guangzhou, to some extent comparable to Shanghai Pudong. If I live in this neighborhood is not so by choice but because this is my office therein, and hours of transit or walking when the weather is 40 ° C in the shadow, I pass well. That is where you fall when you come through the door: the living room tails, with room in the extension. Connoisseurs easily identify lack, coffee table and billy, furniture towels, all rights come from IKEA corner. Finally this is especially the Blogs section machine. I also added 2 or 3 links in Chinese Bouquet and Blogs Around the Web. By cons, sorry but I do not have time to enjoy the thumbnails to 160 x 50. So if you want to give me a link, a thumbnail to change the layout, or if I simply have forgotten you, leave a comment in the Son Canvas! Anyway good blog at all! PS: Speaking of pot bloggers, Beijing and Shanghai cover call Thursday … I’m trying to plant the idea in Cantonese bloggers that I knew but no echo. Canton then will not the game?? Apart from supermarkets, and hairdressers, another activity mass Shanghai massage parlor. I believe there are 40000 massage parlors in Shanghai, it is to say … Of course, there are all both in terms of hygiene, and in terms of qualification masseurs or customs practiced in these places … So There is no doubt that massage parlors are unsavory Nanjing Lu (personally I did not venture, for the price of tea and whiskey in the neighborhood … * g *). There is a massage parlor in the mall next to the campus of Fudan which I said good, but the place I was not too inspired when I went … It seems that there has a formula 5 euro for students of Fudan (11 euro for the others) but I hesitate to entrust my back to hands not necessarily well qualified). So I turned back. But today, I had spent one to two hours to the Xiang Yang Market and wandering around the corner, I decided to go! So I stopped at DragonFly Donghu Donghu Lu at 20 to a few hundred meters from Xiang Yang market. My experience in professional massage is quite limited but I had heard good reviews about this DragonFly is the show’s most famous chain which now has nine in Shanghai, one in Beijing and one in Oslo! When I arrived I was greeted by a lovely hostess who speaks perfect English and handed me a menu of more complete. The place is clean and the standard western luxury with a warm and Asia. I opt for the traditional Chinese massage for an hour for 120 RMB (13 Euro). I then drove to a small cabin where I am invited to a priori change me and put my stuff in a locker locking. I put a sort of beige silk pajamas (it looks clean / washed for each use) and put slippers (disposable style hotel / hospital). My masseuse waiting for me at my exit and guide me in a very dim light corridor, joining a set of parts also benefit from a very low light (just enough to see either). In some places we see / hear the fountains flowing. Asian soft music going in the background. It makes me lie down on a massage bed (with opening for the head, also covered with a disposable sanitary protection). So here I am reassured luxurious of the most relaxing and perfect hygiene rules (even better than the Chinese hospital that I tested last weekend * g *). Remains to be seen what gives massage!? 1 hour of pure relaxation in expert hands! I do not have a great professional massage practice (1 or 2 past experiences quite ok but nothing special), but I must admit that I was completely captivated by the framework and the technique! Chinese traditional massage is a massage that covers both global head than the back, arms, hands, legs and feet. It is massaged dressed (in silk pajamas that scored) The accuracy and determination of actions is impressive, so much so that I thought I would not succeed to get up and I have long thought to ask for an extension! The masseuse also apparently speaks English, or at least mastering all the vocabulary necessary for the exercise of his profession (you do not hear that finally 2 or 3 times an hour massage, and it is just as well because we is in such a state of relaxation that has no desire to speak!). Customer side, that I met in the lobby, it seems that it is mainly women tourists and Western businessmen. I could not go to China without trying at least once a night KTV (Karaoke TV). This is now done! The evening was in fact organized by Chinese students from Fudan MBA, the French exchange in the program who invited me to go with them. The place is quite nice, in a very recent building. It looks a bit like a hotel. Before starting the festivities, we fill Chinese beers mini supermarket part of the complex (chose one, you pay and a server brings everything in our room once installed). We sit in a room rented for the occasion (RMB 100-150 per hour I think). In this room a large sofa for about 10 people, facing a TV screen and on the right device on which you select songs that will pass. We were at the beginning about 6 and 6 Western China. The evening begins, beers flow freely. The beginning starts quite slowly, which gives the opportunity to know for MBA students do not already know each other very well and those of us who were other programs / university did not know them at all. I talked to a lot of Chinese Fudan MBA program that is working and his MBA at the same time (thirty). The first step is the exchange of business card (which I had the right with another Chinese MBA) but the timing of telephone and exchange with Western and Chinese name of compliments on our respective phone models. Like many Chinese, is passionate about football and especially European soccer. He knows the teams Lyon, Marseille, and as many foreigners is entranced by our expatriate in UK footballer Thierry Henry (more than before Zidane). But it was above all a Karaoke night! Songs and have not stopped. The task was not easy for those of us who were not talking and Western (or sing) not fluent Chinese … Modesty, low level selection western songs (often too fast, little known or without lyrics …) and unfamiliarity of such parties was that we were much less involved than Chinese or Western Chinese family. While Westerners (including myself) had trouble getting started, the Chinese and Chinese were related to them background in the songs. The Chinese also Austrian sang divinely and as my friend Franco Chinese / Cantonese also coped very well, fully involved in the interpretation. It was very nice to follow. So, most Westerners left the KTV to 23H to go downtown to the famous Babyface (who apparently was too busy). I myself have decided to stay with a friend through French / Cantonese, a Chinese-Austrian, two Chinese, one Taiwanese and Austrian another university in the evening we found that it spoke French (also very good). Pushed a little, I made an attempt to duet on “Complicated” by Avril Lavigne (not obvious to the voice, and flow), then “Black or White” by Michael Jackson (where ct mission impossible … especially since words not displayed), and after a few beers, a solo on “Say you say me” Lionel Richie. The Chinese sang to them in turn without stopping! At 3:00 am, six hours after our arrival, we left on campus. As it was past midnight, the security guards’ dormitory foreign Fudan waiting for us with the registry so that we apposions our room numbers, arrival and signatures … I was with a friend Franco / Cantonese, Chinese-Austrian Taiwanese and his girlfriend. My friend, fun story, sort of security that both China and shared rooms that they could pass … The security officer then looked at the woman with a black look more threatening until their identity was confirmed and their rooms identified on the registry! It does not laugh campus police! I did not become a fan of karaoke and I do not go back without a doubt not / or infrequently, but it was a very nice evening and rich cultural discoveries worth to be experienced at least once. Create a foreign company in China whose capital belongs 100% to one or more foreign shareholders through the creation of a Wholly Owned Foreign Enterprise (WOFE). This status guarantees autonomy of management and you do not need to have a Chinese partner. However, it is currently reserved for the exercise of an activity such as the following: Production, assembly, Trade, Trading, Consulting. Shareholders of the WOFE can be one or more individuals or a corporation. In return, therefore a minimum capital is required. Its amount depends on the type of activity, the sector in which it is exercised, the recording location (province) and localization (Special Economic Zone, …) of the WOFE. 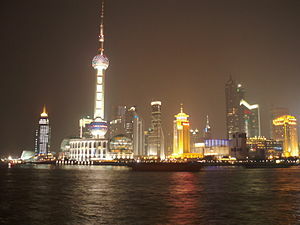 As an example a retail registered in Shanghai must have a minimum capital of approximately RMB 1.1 million. The WOFE have a tax rate on profits, varies according to the place of registration between 15 and 33% of profits. Tax exemptions for one to two years are negotiable with government authorities. Do not hesitate to local authorities and supervisory compete to obtain more favorable terms in exchange for your installation in their area (everything is negotiable). It is to be noted that in principle you need to go through an accredited agent to submit your registration dossier WOFE from government (a process that takes about 2 months). I leave my new friends to go to the administration office to give my newly acquired mobile number. Then, on the way back I decided to buy a bike (I had to return two went 15-20 min walk from each other throughout the campus during the day). Came to stand I see two young western one of which is open to haggling buy a bike. Watching the scene with amusement I distinguish some words of French and became acquainted with “Melanie” while “Peter” closed negotiation. I launched myself in a short negotiation for a “beautiful blue bike,” his theft and his basket and run after being presented (Mélanie am Fudan MBA program through an exchange with Peter and his school follow me as program language) and have exchanged some of our experiences of hours and days passed, we start with Mélanie test our bikes while shopping at the supermarket while Peter set from administrative concerns. The next two days the weather deteriorates sharply. The temperature drops, the rain came and the wind makes the climate even more cold. Wednesday we went to the center with Melanie to see the Bund / Nanjing read while Pierre had met a Chinese view on the net 🙂 Thursday we had to make a deal but the weather was such that we decided to stay close to campus . In the evening, we met another “Pierre” French in the lobby was relieved to cross the French (it’s in a double room with a Japanese who does not speak English or French). Then arrives “Richard”, Hong Kong Chinese who studied in France in the same school as Melanie and which is in the same exchange program it. On the net, it’s pretty simple, there are wall sockets in the rooms which just plugger cable RJ45 (network cable) and establish a PPPoE connection when entering login / password are those located on a map of 120 hours of connection that you buy down to 75 RMB. For long distance calls is a bit the same principle, you buy a card (eg: I took a 50 yuan, it dials a number on his phone inside for credit with credit card then between the phone’s favorite numbers that they receive a substantial reduction in minute (1.12 RMB / min instead of 3.2 RMB for France). In fact my next update should be spaced enough in time and less detailed. We await the day and especially the introductory and Sunday classes start Monday. The journey Registration takes place in six stages, each stage we give our paper + admission letter and a stamp is affixed to a paper that contains one line per step. In the sixth step we give the paper that all buffers and we are free and included! Once registration finished we went to the dormitory where Italian will spend two days in his physical examination enabling him to obtain his residency permit (he lives off campus with a one-year visa). On the way we pass the huge new building built for 100 years of Fudan. Then we leave off campus where the Chinese partner of my new Italian friend will help me to choose a Chinese SIM card for my laptop. There are several operators. The best are those numbers starting with 138 and 139, it is “more stable”. Card costing 70-85 RMB depending on the number and entitles RMB 50 phone credit. You must add 10 RMB credit every month by purchasing a card to maintain their subscription. You can not call internationally with but can be called (ca cost you) and send SMS in France.